Hey all, would people have any body have any info on painting this tank crew? I'm painting this as a StuG crew. Back when I was doing lots of German stuff, one of things that worked best for me was to have several company's vergions of Feldgrau. None of them quite matched each other, which allowed showing some difference in uniform parts. The black uniforms are really best using NATO Black as a base, but you have to go easy on the shading. For belts, you need a semi-gloss black, which can take experimentation with your supplies. For boots, my preferred method was to start with a panzer gray base, then wash in semi-gloss black to give depth. The soles get stippled with a pale gray on the wear surfaces. Tank crews probably ought have oil spills and grease stains and spots where fuel has soaked in. The hard part is in not over-doing it. You will want to research specific units and get details like piping color right. Unlike 30 years ago, we can perfrom extensive image searching on google to help in this. 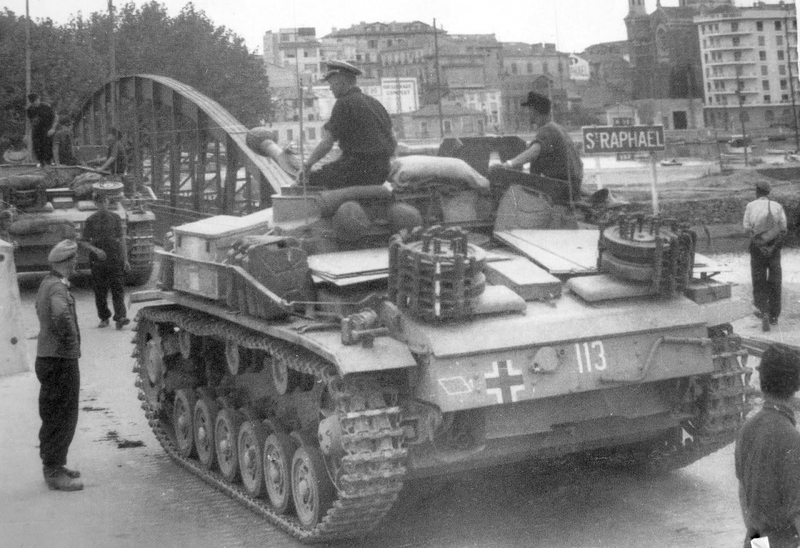 IIRC, Sturmgeschutz crews were considered artillery, and not panzers. They used the feldgrau version of the tank crew uniform and had the red piping of artillery branch, instead of the pink of armor/panzer. Capnmac’s idea of using differing Feldgrau types on their uniforms is spot on. I also like to use similar colors like SAC Bomber Green and RAF Slate, to get more color variation in clothing items. And yes, AFV crew uniforms get dirty in service with spills of various POLs, plus the usual dirt and grime that accumulates in the field upon a soldier. Any camouflage uniforms depend upon branch (SS, Heer/Army, or Luftwaffe), and year of service, for the camo print pattern. I didn't see the last bit under the photo of it's to crew a StuG, then yes the pipping would be red like Stick said. For Feldgrau I have a Andrea paint set that I won at a show that is 6 different shades for hilights and shadows or anything in between. 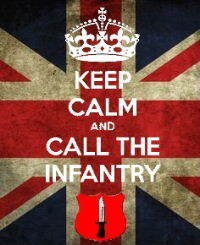 Yep, what Stik said for StuG crews. Lighten the color by mixing in Vallejo sunny skin tone, I know it sounds weird but it works, for shadow add a little black or German grey. Check out some of Ian E.s videos on YouTube he is a excellent figure painter and explains everything he does. Is this the book you mean. 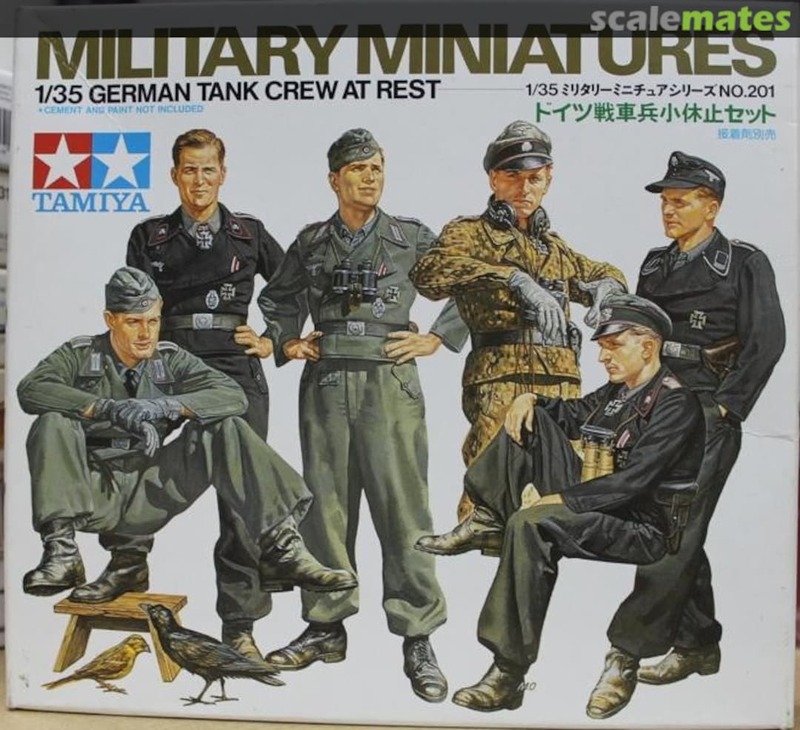 Thats my bible for painting German uniforms. The first article tells you how to paint field grey by adding a darker green, can't recall off the top of my head which. And then lightning that with 2 other colopuirs for highlights. Follow that process and you can't go wrong. Are you planning to do your Stug as SS? If so, the book and pattern painting will work. If not, and you go Luftwaffe or Heer, you’ll need to use different colors and patterns. The splinter patterns or the swamp pattern. What is your end vision? Regarding your solo Field Gray, you can easily alter it by adding small bits of gray or green to give you that variation. A drop or two of one for the pants, a drop or two of the other for the jacket, the hat in the original color. Change that order for the next figure. And as I mentioned above, there are similar colors out there that work for aged/faded items. Tamiya RLM Gray, Testors SAC Bomber Green, Humbrol Slate. All of those are gray greens that are similar to, but different from basic field gray. Yup. That's the book. In reguards to painting the figures I'm going to probably paint them as fieldgrey as S.P. crew. The above is the voice of experince and ability and skill. Back in the 80s, another tin or bottle of pain was less than a dollar. So, I had Humbrol, Polly S, MM that I know of. Because I typically had 4 or 5 versions of every stock color, I painted up panit chips on whhite styrene sheet stock. Which was handy for me as I was mouch more likely to have time to apply one color, than had to set everything aside. Which meant I could not "keep" a quick custom mix open until my next painting session. Also, that was when the "Arizona School" for figure painting was the thing, wher you used a uniform base coat, then shadows were applied over by shading with dark/black and highlighting by tinting with light/white. 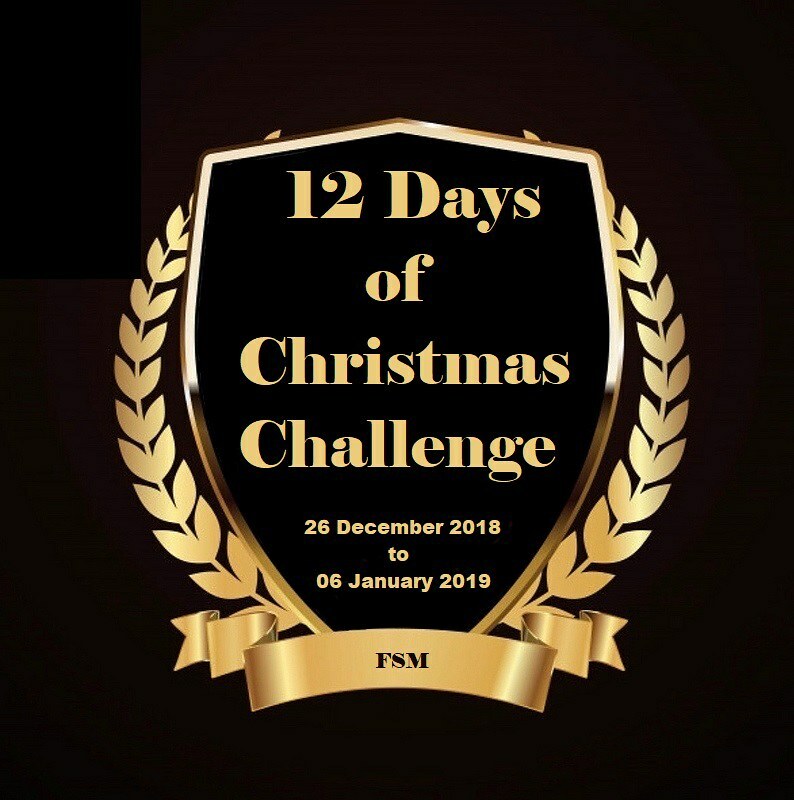 Was quite popular and much done by contest winners, if easy to overdo since you were applying a 2d method to 3d items (with the fillip of that you were working with strong direct light for something that would be displayed under wan fluorescent light). The best advise I ever saaw/read/got was to treat figures as a kit unto themselves. Just remembering that each figure wants to be unique in its own way. This is the BEST book I have ever seen covering Waffen SS uniforms which are in color and are actual examples from private collections. Second that. I combine that with the above Osprey book on how to paint them, they have been very helpful. 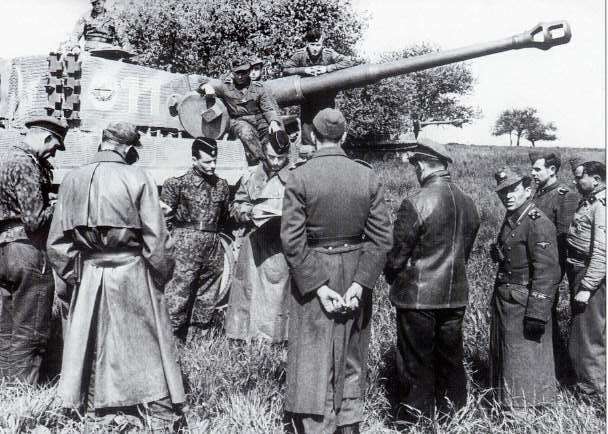 Sturmartillerie crews initially wore the black Panzer vehicle service uniform. Although a field-grey version was appearing by 1940, both black and feldgrau uniforms were seen in simultaneous use, sometimes even within the same unit. - The Panzer Soldier, by Krawczyk, page 27. This dualistic appearance would gradually diminish as the war dragged on and the field grey would predominate.